Claire Parfondry coordinates the Rainforest Foundation UK’s Community Forests project in the Democratic Republic of Congo (DRC). 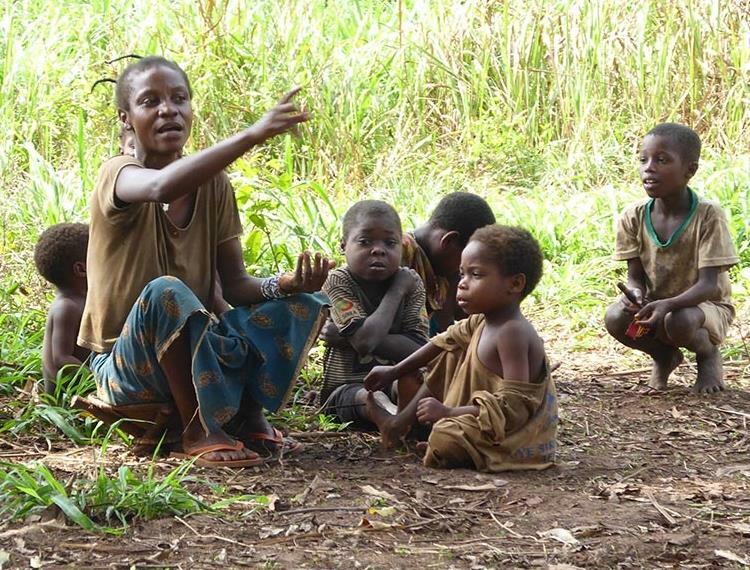 She recently travelled to six local communities participating in the project in western DRC. A new experiment in the Central African Republic (CAR) is about to have a big impact on the land rights of forest communities. Over 50 charities call on the international community urgently to intervene to help protect the vast rainforests of the Democratic Republic of Congo. This video offers a look at the first phase of our Community Forests project in western DRC, documenting the important work of our local Congolese partners on the ground. We are thrilled to have our biggest ever team this year with 17 dedicated volunteers running for the rainforest! Two of the concessions overlap with a recently discovered carbon-rich peatland deposit covering 145,000 km². RFUK recently brought participants together from three Central African countries to train them on how to use innovative mapping tools in order to support community forestry. More than a dozen environmental NGOs have written to the World Bank to call for the suspension of its flagship programme to reduce emissions from tropical deforestation and degradation. The Rainforest Foundation UK and three leading Congolese human rights organisations are calling for an investigation into a new case of extrajudicial killing of a man by ‘eco-guards’ in Republic of Congo. Protected areas are having a devastating impact on the rights and livelihoods of forest communities in Africa’s Republic of Congo, a report published today by the Rainforest Foundation UK, reveals.